Where to Stock Up for your Maui Vacation! Summer Vacation Time: Book Now! 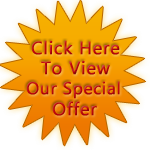 Small-Group, Buy-out, or Private Charter! Road to Hana with Temptation Tours – A first-hand look! Two Tours are Better than One! Temptation Tours featured on The Five Foot Traveler! Why the Hana Sky-Trek might just be THE Maui Adventure! Tours for the WHOLE Family! Road to Hana – What to Bring? Haleakala Sunrise: Why Take a Tour? Hawaiian Words to Look For! Time for another TripAdvisor Round-Up! What “Luxury” Means to Us! 5 More Weird Things to Pack for Maui! 10 Things not to Miss on the Road to Hana! Road to Hana – Drive or Tour? Need anything? Let us know! We’re a Sustainable Tour Operator! What’s Your Maui Travel Style? Coconut Ice Cream on the Road to Hana! Road to Hana Photo Four-Square! Top Ten Reasons to go to Maui– right now! Happy Thanksgiving from the Temptation Tours Ohana! Crater & Rainforest – When You Need to Do it All! What’s For Lunch (or breakfast) on Tour? Private Charters – YOUR Maui Adventure Tour! Cruising to Maui? Give us a call! Food Trucks – Maui Style! 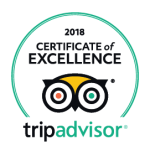 Trip Advisor – Certificate of Excellence! Photo Contest – The Winners! Haleakala Sunrise Tour – How to do it right! Road to Hana Tours – Which one is for you? Hana Ultimate – The Ultimate Experience! Great Combos await you on Maui! Maui’s extinct volcanos are still on the move! What should you do while on Maui?